Come Join us on Dec 8th, at 7 P.M. for our Annual Christmas Movie Night. Come see the silliest and funniest Christmas movies,cartoons and t.v. shows ever made. 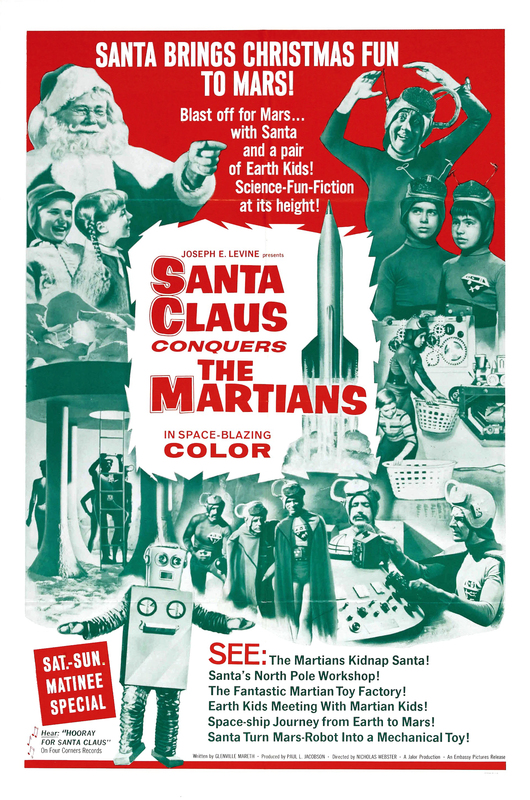 We will begin with the classic Santa Claus Conquers the Martians, then a slew of classic cartoons from the Golden Age of Hollywood, and if you were a kid in the ‘sixties, you will appreciate our classic spy Christmas T.V. shows.This is a potluck,so please bring your favorite holiday food. If you have any questions, please contact Cheryl Spoehr.